Project Roadblock has been saving lives during the holiday season for 15 years. 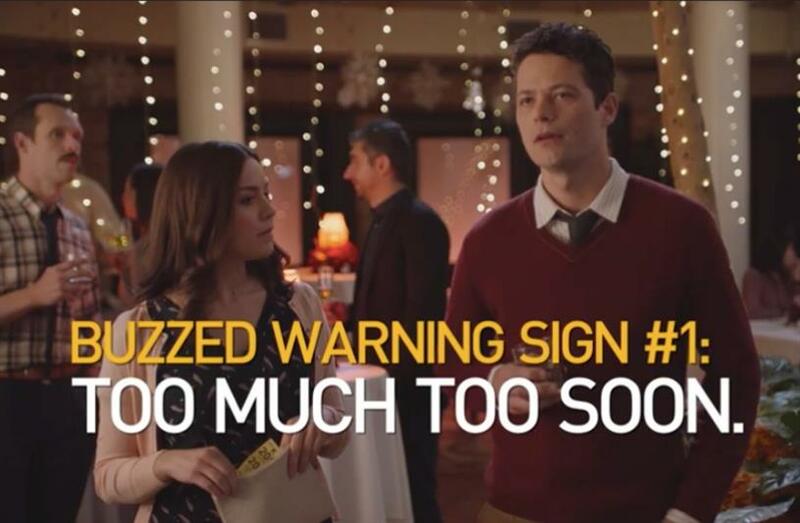 It’s the holiday season, a time full of parties and champagne, which is why the Ad Council and Project Roadblock is here to remind everyone: "Buzzed Driving is Drunk Driving." Today marks the 15th anniversary of the Project Roadblock effort, the largest annual, single PSA campaign that’s supported by local TV stations across the nation. In fact, more than 1,000 local broadcast stations across all 50 states have pledged to support this year’s initiative, including Cox Media, Entravision Communications Corporation, Graham Media, Hearst Television, ION Media Networks, Liberman Broadcasting, Sinclair, Tegna, Inc., Univision Communications, and Weigel Broadcasting. This year’s "Holiday Party" spot, created pro bono by media and creative agency OMD and production company HYFN, will exclusively debut on participating stations. The spot, which cheekily reminds drivers how to realize they’ve had one too many drinks to drive, is the first in a series of seasonal PSAs created by OMD to be released throughout the year. Since its launch in 2004, the "Buzzed Driving is Drunk Driving" campaign, in partnership with the U.S. Department of Transportation’s National Highway Traffic Safety Administration, has seen a 27 percent decrease in alcohol-impaired driving fatalities. TV stations over the years have donated more than $66 million to support the effort, including $7.9 million in 2017. The campaign is also an extension of Ad Council’s "Friends Don’t Let Friends Drive Drunk" initiative, which dates back to the 1980s. "The dedication local broadcast TV stations show to this lifesaving message every year is truly remarkable," said Lisa Sherman, president and CEO of the Ad Council, in a statement. "We’re so proud to celebrate 15 years of Project Roadblock and keeping our communities and roads safe during the holidays."